“We found a stray dog and so we have no idea what her vaccination history is or even if she has been spayed. 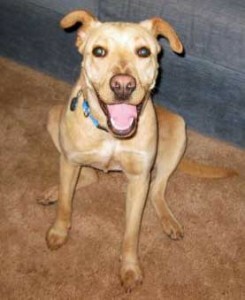 She is probably about a year old at the most…looks like a small yellow lab. I want to just have her vaccinated for parvo and distemper only and of course we have to have her vaccinated for rabies. But my question for you is how long to wait between the spaying and the vaccinations? And how long between before she gets her rabies shot? And which order do you recommend having all of this done? I know I have seen this information somewhere on the Internet before but it was a long time ago and I just can’t seem to find it now. I would really appreciate any advice. At this point I don’t even know which thing should be done first, the spaying or the vaccinations. Note: I got this question from Kat after she watched one of our K9Author YouTube Videos on vaccinating dogs. Response: Hi Kat. I’m no fan of the rabies vaccine because of its many adverse reactions. Neither do I like the idea of vaccinating a stressed dog; the vaccine may not “take” and the chance of side effects increases. However … because most people wouldn’t be comfortable handling a strange dog with no shot history, I’d either have a titer test done to test immunity for rabies (which would prove immunity and not harm the dog, but would cost $150 or so and not allow you to get a license) … or I’d vaccinate. If you do vaccinate, wait 3 or more weeks before spaying (or neutering) or giving another shot. If you can have a holistic vet or homeopathic vet give the shot, that would be great. A homeopathic remedy given with the rabies shot can help prevent a reaction. Thanks to Dr. Michael Dym, a homeopathic veterinarian, for sending me this article. In 1997, the first International Veterinary Vaccines and Diagnostics Conference concluded that the duration of immunity is likely more than five years for the clinically important companion animal vaccines. Yet, veterinarians continue to routinely over-vaccinate both puppies and adult/senior dogs and cats. More recently, evidence has emerged that, along with the nutrient-poor processed commercial pet foods, over-vaccinating has been a major factor in the development of the epidemic increases in autoimmune diseases, seizures, hormonal disorders and cancer seen in younger pets. There’s even evidence that genetic changes have occurred due to over-vaccination over many generations. Vaccinating pets with chronic immune mediated illnesses or cancer, or even a history of cancer, is contraindicated, as all vaccine inserts that come with the vaccinations say for “use in healthy animals only.” Studies are now under way to document that even rabies vaccination has immunity that probably lasts from five to 10 years . (Please see the Rabies Challenge Fund and Truth4Dogs.org). I recommend that animal guardians become better informed about which vaccines are appropriate for their pets and how often or if they should be given or repeated. The health of our canine and feline companions depends upon learning the truth, just as we are now learning the truth about fresh, more nutritional foods. In practice for 18 years, Dr. Dym developed an interest in holistic and homeopathic veterinary medicine and has studied with Richard Pitcairn, DVM, and PhD, author of Dr. Pitcairn’s Guide to Natural Health for Dogs and Cats. He practices in New Jersey. For additional information, please visit Dr. Michael Dym‘s website. Note from Jan: Find more in-depth articles on vaccination at my Truth4Dogs.com blog.